As far-off and hazy in the distance as it may be, freedom from the Canadian Federation of Students might finally be on the horizon for the Concordia Student Union and the Graduate Students’ Association. Two rejected petitions, unrecognized referendums and much legal tennis later, both associations have finally secured a court date—set two years from now, in March 2015. This time though, they’re going at it together. The idea for having the two associations join forces came as a suggestion from the CSU’s lawyers. Upon receiving the legal recommendation, the CSU and GSA each brought the idea to their council of representatives at meetings held on Jan. 16 and Jan. 11, respectively. In both cases, motions to join the two lawsuits were unanimously passed. A week after the CSU Council meeting, on Jan. 23, the cases were legally merged in court. That same day, the case was assigned a trial date. Current CSU President Schubert Laforest said the collaboration between organizations simply made sense, considering the striking similarities between the two cases. Both were already using the same legal firm, presenting similar evidence, using some of the same witnesses and shared near-identical timelines. Additionally, much of the required legwork in each case already overlapped, anyways. Both suits make multiple demands, but the primary goal is to be recognized as independent from the Canadian Federation of Students—by way of having their referendum to secede legitimized. Laforest said that there were talks of having McGill University’s Post-Graduate Students’ Society also join the newly merged suit. In March 2009, the PGSS voted to leave the CFS; the CSU did the same that month, and the GSA voted to leave the month after. “They decided to stay independent given that the way they were arguing their case was slightly different from ours and they had slightly different evidence,” he said. Gill explained that the PGSS case wasn’t similar enough to the nearly identical Concordia cases to make a merger worthwhile. “There were differences between the two cases that were substantial enough that people around the table decided that that wasn’t the logical thing to do,” she said. She noted, however, that all three organizations remain very much politically on the same page. Not only has defederating from the CFS been responsible for consuming much time and effort on the part of many past and present CSU presidents and executives—but the bill accompanying the saga hasn’t been a small one. In 2010, former CSU president Heather Lucas estimated the suit would take at least two years to see through, and cost the union roughly $220,000. Laforest was unable to publically disclose the total cost of the union’s legal fees at this point, seeing as the case is currently ongoing, but the process has not been inexpensive. There is a tidbit of good news, though. Sharing the cost of one suit—versus paying for two—will cut costs for both the CSU and GSA in future legal fees. While spending wads of student money was never anyone’s ideal situation, Gill said bringing the case to court eventually became inevitable. She said the rational thing would have simply been for the organization to respect the rights of its members, and recognize a democratic referendum by granting the organization rights to leave. “But that’s not the game they’re playing,” she said. Seeing as the case will not be heard in court for another two years, there is only so much progress that can be made to move things forward right now. What can be done on behalf of the present executive are ample preparations ensuring that institutional memory of this case is transmitted to the future executive upon termination of their own mandate. “If you let a year go by where people don’t really talk about the complexity of the file or the history of the issues, people start to go, ‘Oh, we are just in this lawsuit and I don’t understand, so let’s just drop it,” said Gill. Gill said that no matter where they stand on the political spectrum, there is a general consensus within the Concordia community that the CFS is not welcome here. Laforest agreed with Gill in recognizing the importance of ensuring that motivation to pursue and win this case is passed forward. Gill thinks the current executive has a grasp on the importance and complexity of the current case. At its core, she said, this is an issue of freedom of association. 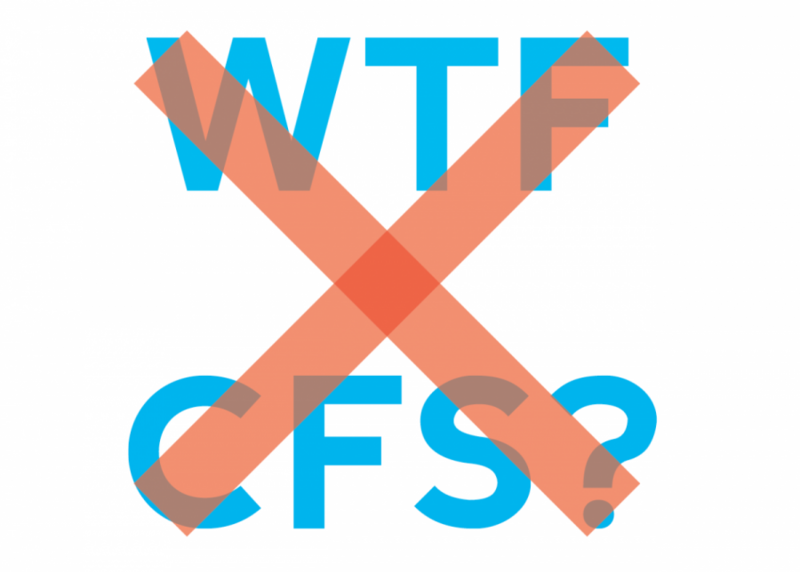 Read WTF, CFS: Part One for a timeline of the rocky history between the CSU and the CFS.